Are you looking to hire a virtual assistant? Or are you thinking of becoming one yourself? In this article we will talk about both the above topics in detail. Here’s what we’ll cover. Use the links below to jump to the section of your choice. What Tasks Can Virtual Assistants Do For You? Where To Find Virtual Assistants? How Much Does Hiring A Virtual Assistant Cost? It’s a never ending list! In fact (pardon the pun here) they can do virtually anything. Think of them as what Jarvis is to Iron Man. They’re not there in person – but they’re still a vital part of your business. If you’re curious about all the different tasks they can do, we’ve outlined 98 tasks that you can outsource to VAs. We’re not going to go over each of those here, but we’ll touch upon the main ones later. But why do you need a VA in the first place? Virtual assistants are everywhere these days. More and more people are turning to them and it looks like they’re here to stay. Here’s why you should hire one yourself. Chances are, they’d opt for option #1. It’s more interesting and seems more important. But that doesn’t mean you can neglect these mundane tasks like emails and finances. Your business would crumble without this boring repetitive work. So how do you keep your in-house team happy but still get the mundane tasks done? They can take up most of these mundane tasks that can be done remotely. A full-time employee (especially those you are more senior or talented) can stay focused on more pressing matters that need to be done in-person at your office. One of the main reasons why entrepreneurs and businesses outsource work is that it costs less. Instead of hiring a full-time employee for a small job, you could choose to outsource it to someone at an hourly rate. Lower pay isn’t the only way you can save money with virtual professionals though. A business owner can also save a lot when it comes to training costs. Usually, companies have to train their in-house team on tasks and duties after they’ve cleared the hiring process. All this costs time and money – that most companies can’t afford. With VAs though, small business owners can hire professionals who already experts in their field. This way, a business owner doesn’t have to waste time and money training them – they can get started right away. Another reason why small business owners turn to VAs is that it saves them a LOT of time. We all know that time is money – especially in business. For example, let’s say you are a small business with no HR team. Your employees shouldn’t spend hours posting job advertisements, doing preliminary resume screening, organizing an interview process – all on a hiring process for someone at entry-level position. Why not skip all this and get a professional to work on specific tasks instead? Take a look at what Liam Martin, co-founder of Time Doctor has to say about the things he’s learnt from hiring VAs for over 10 years. What Can Virtual Assistants Do? As mentioned earlier, there’s a host of things you can outsource to them. It’s far too many to list down here, so we’re just going to cover the most common virtual assistant work by VAs. They can take over all the business duties that a typical administrative assistant does. Basically anything that an administrative assistant usually does. The only difference here is that an executive assistant doesn’t have a desk in front of your office. Apart from that – it’s pretty much the same thing as a typical administrative assistant. You can always hire a VA to help out with tasks in your personal life as well. Booking travel arrangements for weekend trips or vacations. Helping you make purchases – gifts, books, stationary, hardware and perhaps even clothes! As a lot of these tasks don’t need to be done by someone in-person, they can easily be outsourced to a VA instead. Content writing has propelled itself to the top of the digital marketing ladder in recent years. There’s a reason why large corporations put out blog posts often. It helps boost their search engine optimization and drive traffic to their website. Having someone oversee this process can be a great digital marketing decision on your part. The problem is, content creation isn’t easy. In addition to writing, there are a bunch of specific tasks like research, finding and editing images, uploading articles to your blog and so on. That’s why it’s a good idea to outsource your blog posts to a virtual assistant. You can either outsource the ancillary tasks like images or uploads or the entire process. For example, an increasing number of agents and brokers are using virtual assistants for their real estate marketing activities – including content creation, organizing open houses, social media and so on. Outsourcing it to only one person ensures that each piece of content has a personal touch and doesn’t dip in quality. There’s this general assumption among small business owners that VAs can do your taxes for you. In an ideal world, yes they could. But in reality, at the end of the day, they can’t do any actual accounting for you. What they can do though, is help manage your finances. They can maintain budgets, make purchases, and keep track of your expenses to make your finances as transparent as possible. Avoid the last-minute rush once tax season comes around! Social media is a very important weapon in your marketing plan. It’s where many of your potential customers are going to notice and engage with you. However, most companies appear distant and disconnected with their potential customers – your social media presence can change this. If you don’t have the bandwidth to handle social media accounts why not outsource it to a VA? It’s important to have someone experienced here as managing a company’s social media presence is complex. Your social media accounts need to be able to connect with people while staying relevant. That’s why a lot of businesses turn to virtual professionals to handle macro level social media tasks. They can keep track of what’s going viral, monitor interactions and analyze statistics to see what converts best. You can say goodbye to worrying about why things like Tide Pods are going viral. Research is a core part of any company’s growth strategy. Without some sound insights, you’ll never know how to grow. However, a business owner can’t spend hours on research while still trying to run a small business. When it comes to research, you need a dedicated person who’s natural language is data crunching. That’s a lot of research! That’s why assigning it to someone in your team who already has other duties isn’t a great idea. It’ll most likely be overwhelming for those team members. That’s why small business and even large corporations are turning to VAs for research. As they don’t have any other duties – they can stay focused on solely gathering and analyzing data to help your company. Customer Service was one of the first fields to incorporate VAs en masse. Your customers aren’t interacting with you in person, so you don’t need an in-house customer executive either. Also, as most customer service interactions are largely centered on addressing concerns that can be answered easily from a manual, you don’t need a high level of expertise here. Of course, if your VAs can’t handle an issue, it can always be escalated to a full-time employee. Your VAs just have to spend a decent amount of time going over what it is that you offer and they’ll be prepared to answer any questions about it. What if you want your VAs to have limited access to your customers’ information? Use a Co-browsing software like Talkative which sets up a secure way to see your customers’ screens rather than a less secure approach like screen-sharing. Opened our inbox to see an army of unopened emails staring at you. You feel like the Millenium Falcon staring at the giant Death Star. Responding to all those emails can be Herculean task. But it has to be done – if you just leave this repetitive work as it is, you’d be in trouble. 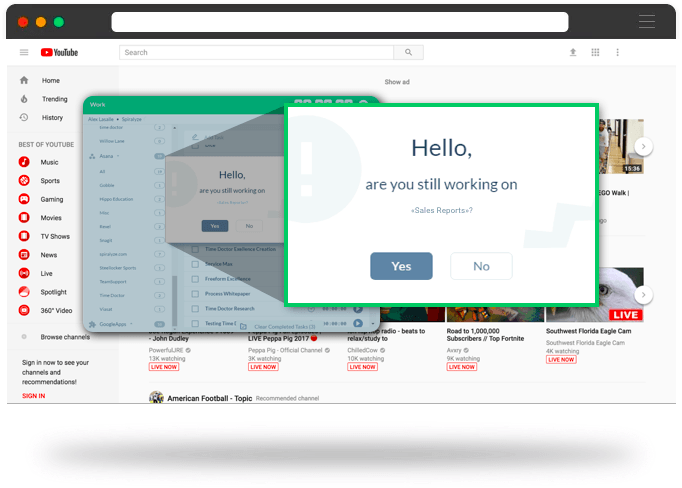 Your email channel is still fully functional – without you having to do anything about it. 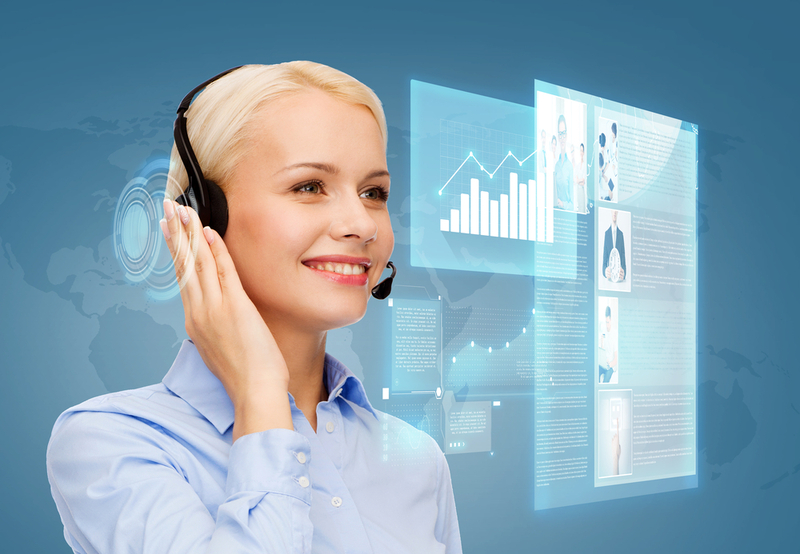 At this point, it’s clear that having these virtual team members can be of great assistance to you. They can boost your productivity, take routine stuff off your hands, manage travel arrangements – the list goes on. Now let’s get to the hiring process – How do you hire a virtual assistant? What’s the interview process like? This poses a unique challenge because you’re never going to be face-to-face with them. As they’re remote workers, there’s always an element of risk associated with them. How will I know they’ll be working diligently? How do I verify their credentials? The first solution is to get virtual professionals from reputed sources. The second solution is to use a time tracking tool like Time Doctor to ensure they are working diligently. Your selection process should also be good enough to weed out unsuitable candidates. Check out this list of qualities to look for in a VA. But let’s start with where you can find them. Think of a freelance marketplace as the NBA draft – without all the hype. You have a bunch of prospects and you select one that appeals to you. There are a few challenges though. Usually, there are hundreds of replies to each posting. While this gives you a large talent pool to choose from, it’s often way too much to sift through. As there’s no real interview process for screening, you may even have a lot of bogus applicants to go through in a virtual staff finder. The solution is to avoid most freelancing sites and focus on the more reliable ones. Firstly, there’s a thorough screening process in place for each freelancer at Upwork. What this does is weed out all the bogus candidates. Secondly, freelancers can bid on virtual assistant jobs – either for more money or for less than the amount listed. This scares off anyone who isn’t really committed to the task. As a result, you’ll have a smaller pool of more qualified prospects to choose from. 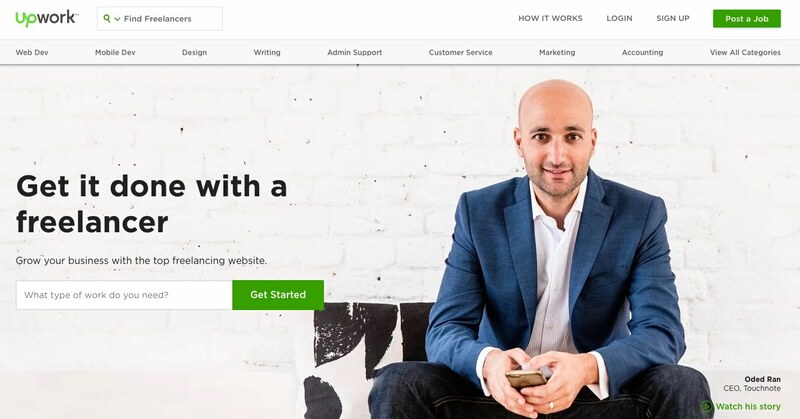 Upwork isn’t perfect – there are a lot of inactive profiles and it can be tedious – but it’s still a step in the right direction to grow your business. Check out our detailed Upwork review for more information. Freelance My Way is another great option to get some good VAs for administrative work and content. They have a rigorous screening process in place for each freelancer so you’ll only be getting qualified candidates. They even provide you the option of paying freelancers only when certain goals have been met. This is incredibly helpful as it gives the freelancer an incentive to do their virtual assistant work diligently rather than waste time on it. Smashing Magazine is one of the premier design marketplaces today. As a result, you can rest assured that only the best freelancers will be listed here. The catch is that it costs $75 to put up a listing. But if that price tag doesn’t deter you, you’ll easily find a good fit for your remote team in no time. Think of virtual assistant companies as online agencies for virtual assistant jobs. Here’s a list of the top 24 virtual assistant companies in 2019 to help you find the right one. You contact these virtual assistant websites with your needs and they’ll send you a VA that’s a good fit for your company. As you’re not sifting through applications on your own, these virtual assistant websites save you a lot of time and effort. Additionally, as they’re coming from agencies, you can rest assured that there’s a screening process in place. When you go through virtual assistant companies, you don’t pay for individual virtual assistant jobs, you usually buy packages. These are time-based and can range from 10 – 75 hours or more. You’ll have a ton of flexibility and have support along the way to make the most of your demands. Additionally, as there’s an agency in place, they provide you with virtual assistance to handle disputes over virtual assistant work. The downside to all this is that these virtual assistant services tend to be expensive. This is expected because these virtual assistant websites take their own commission from their VA’s fees. As a result, you’ll be paying more for these virtual assistant services. Also, you’re limited to the VAs that this agency offers – in most cases they’re more than enough – but in some cases finding a good fit for your needs can be hard. But if you don’t mind the higher price, the reliability you get from good VA agencies is more than enough to be a lifesaver on a daily basis. Prialto is a great agency to turn to if you want a freelance virtual assistant that can handle executive virtual assistant tasks. You can get VAs for administrative work and customer service in no time. Worldwide 101’s calling card is that most of their VAs are multilingual. This can be a lifesaver when your natural language isn’t English. It eliminates the need to translate everything with your personal assistant. As a result, getting your daily tasks sorted out is far easier. VASumo is one of the leading agencies in the virtual assistant industry today. You can get a good virtual assistant in no time that can help you with all your administrative tasks – managing inbound calls, booking travel arrangements – you name it. 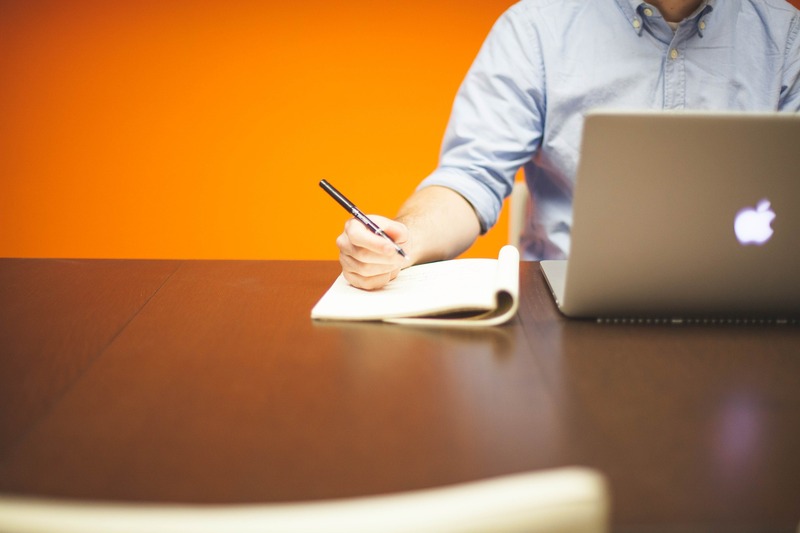 Hiring a VA or any independent contractor can come with it’s fair share of concerns. As you’re not interacting with them in person, there’s a lot of variables involved. That’s why a lot of people think that managing virtual staff is a troublesome task. There are far too many things that can go wrong in a virtual office. However, all these challenges have simple solutions. Let’s check out the most common areas you need to manage. As you’re not interacting with them in person, communication with VAs can be hard. There’s only so much that regular emails can convey right? That’s why using a communication tool like Slack or Fleep can be helpful. Slack can give you and your VAs a direct line of contact easily. 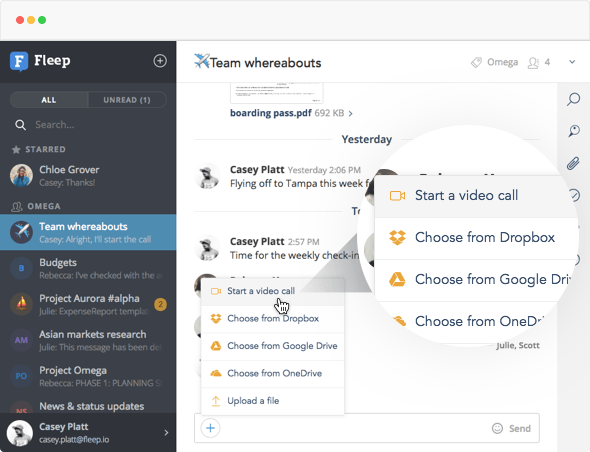 You can share ideas, files, messages – all within seconds! 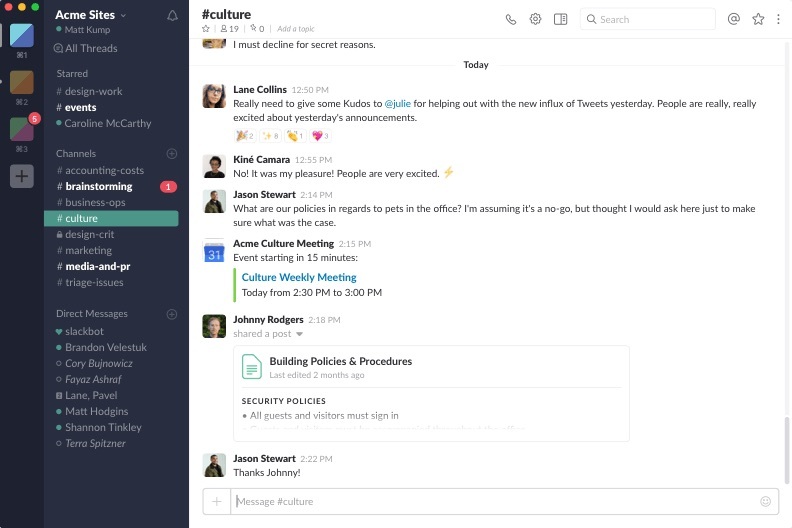 With Fleep, you can communicate effectively with your team in one common space. All that in one common space! You’ll have all you need to feel like you and your team are interacting in person as if you’re in an office. Only this time, it’s a virtual office. How do you allocate tasks to your VAs and keep track of all tasks in one place? 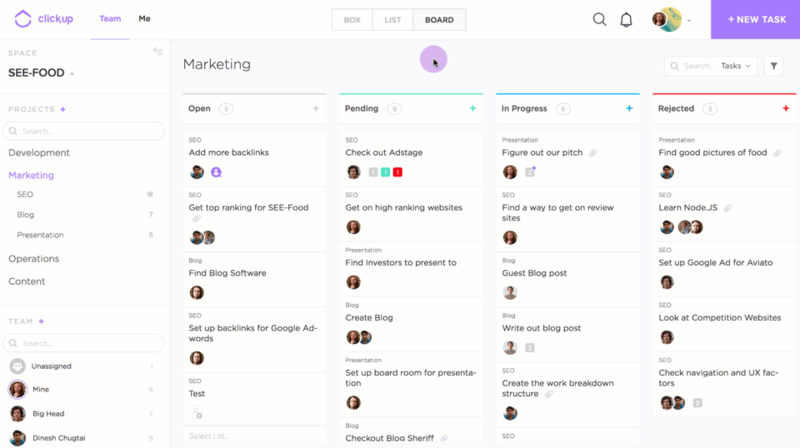 Use a free project management tool like ClickUp to stay on top of it all. Allocate projects and tasks with detailed descriptions and files. Set clear deadlines, number of hours allocated, task dependencies. Check the status of your projects – in list or Kanban-style views. Enable collaboration between your VAs and employees. This way, you’ll know where you and your team stand at all times. This is the most common challenge faced by anyone looking to hire a VA. When you’re in an office, you have an idea of what everyone’s working on. But when your employee is 1000 miles away, they could be up to anything right? But there’s a simple solution. With Time Doctor, you can address these concerns to make sure your virtual staff is working diligently. Here are a few concerns you may have and how Time Doctor can address them. How Do I Track The Time A VA Spent On A Task? As most VAs charge an hourly rate, time is literally money. The problem is, they could always inflate the time it took them to get a larger payday. So how do you ensure that you’re only paying for hours worked? 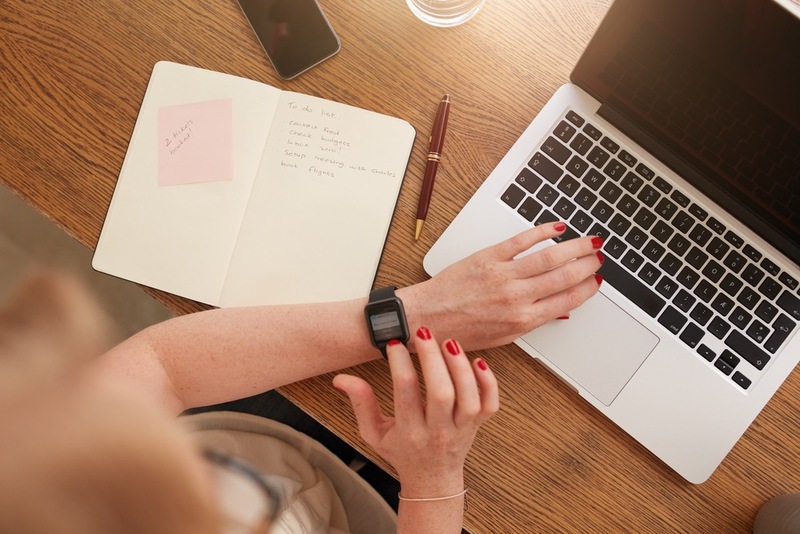 With Time Doctor, you can track how much time your virtual staff spends on virtual assistant tasks. Just get a Time Doctor account and add your VAs to the team. All they have to do is click when they’re starting a task, and the app will start tracking how much time it took them. Once they’re done with the task, they can switch the timer off and you’ll have an accurate record of how long they worked. How Do I Know They Were Actually Working During Those Hours? 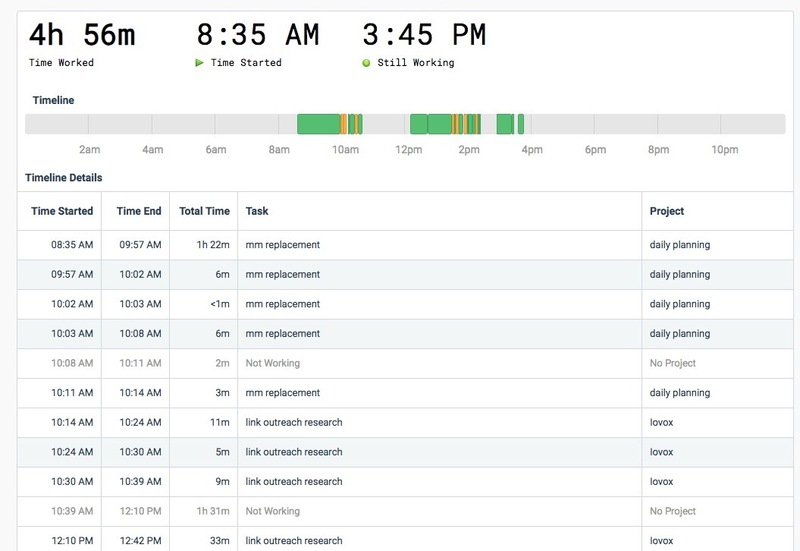 You now have a way of verifying how much time VAs spend on a task. But how do you know that it was time spent working on virtual assistant tasks? What if they left the timer on and went for a nap instead? Time Doctor has an inbuilt inactivity tracker to combat this. 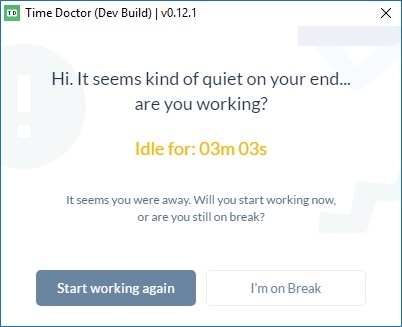 If there’s been no mouse or keyboard activity for three minutes, the app will assume the VA is on a break and pause the timer. This way, you’ll only be billed for time when the employee was actively working. How Do I Ensure They’re Working On MY Task? Your VAs could be watching cat videos on social media sites while billing you. They may even be billing you for time they spent shopping on Amazon! 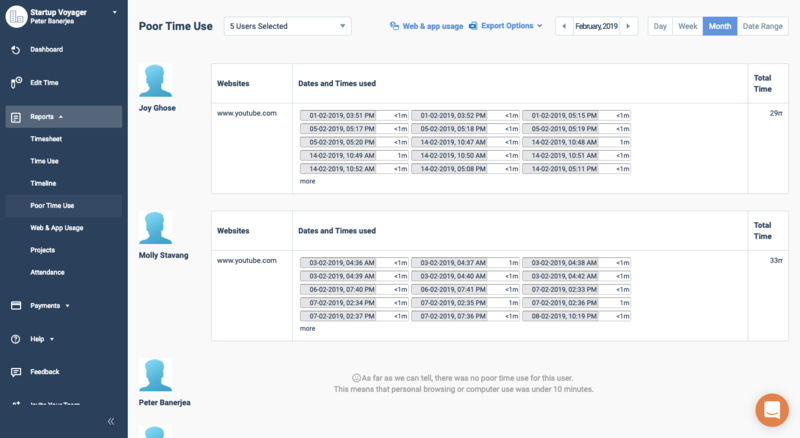 That’s why Time Doctor has website monitoring capabilities. You can set up a list of non-work related sites – such as Facebook, Twitter and so on. If the VA accesses any of these sites when the task timer is on, they’ll be met with a pop-up asking them if they’re still working. This way, you’re only paying for hours actively worked on the task you’re paying for. How do I Maintain Detailed Records of My VAs’ Tasks? You’ll have access to detailed reports on all your VAs and how they’ve spent their time. This way, you can keep a check on them at all times. 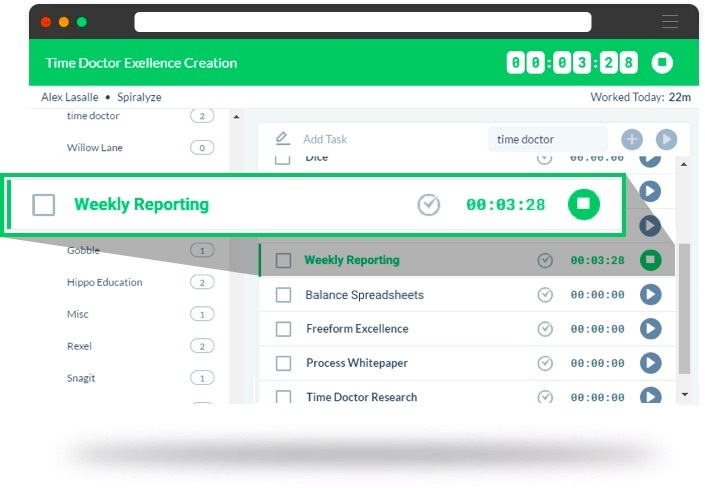 Displays the total billable time your virtual professionals have spent in a day on tasks. This is a minute-by-minute breakdown of every activity done by a virtual office assistant on a daily basis. This can easily be downloaded as an Excel sheet for records. This gives you an idea of how long a VA worked on a particular project in a day. This is useful when you virtual office assistant works on different projects. If an employee accesses a pre-established blacklisted site, this report records when they visited it and how long they spent there. Shows you if a virtual office assistant showed up to work on time or was absent for the day. How Much Do I Pay A Virtual Assistant? There are a few factors that come into play when it comes to determining a pay scale for your VA.
A lot of what you pay depends on what you’re paying for. If it’s basic administrative tasks like managing phone calls as a personal assistant, you’d be paying around $15-25/hour. Customer service executives handling inbound calls can earn about $25-30/hour. When it comes to more complex skills such as digital marketing, that rate may jump to $50/hour. To give you a better idea, check out this list from Upwork on the average hourly rate for different freelance work. Experience level is another important factor that comes into play here. VAs with years of experience may charge more, but they bring a lot of expertise with them. And with that expertise comes a level of professionalism. That’s why opting for someone who charges a lot less but doesn’t have years of experience may be a bad idea. Sometimes that extra money for someone with years of experience can go a long way for getting reliable results. There’s a reason why a lot of businesses outsource to places like India and the Philippines. It’s far cheaper hiring an independent contractor there than hiring a virtual assistant from the Western world. The good news is that these days, you’re not compromising on quality when it comes to hiring from these countries. You’ll still get quality work done. You’d just be paying a fraction of the price you’d usually pay! When you’re going through agencies, there’s usually a payment process in place. It’s not uncommon for these platforms to have their own payment gateways to make transactions. You’ll pay the company and they’ll in turn pay the VA. But what if you don’t go through one of these agencies? What if you hired someone independently? Never pay a VA in advance. If they already have the money with them, there’s no incentive to get the job done. That’s why you always pay after the job is done. Sometimes, they may ask you for a partial payment in advance. While this is fine in some cases, I’d still avoid taking that option unless the nature of the work requires it. You still have no guarantee that your job will be done after that. They could just take that advance and leave you hanging. When paying remote employees, it’s very important to use a widely recognized payment method. Paypal is one of the oldest active payment services today. It was formed in 1998 and is one of the most commonly used platforms for international transactions. Nobody comes close to the reach that Paypal gives you. It supports a ton of currencies from a lot of different countries. As such, you won’t have much difficulty transferring funds anywhere in the world. Additionally, you don’t need to set up an account to start using it (if you’re using it on a regular basis, we recommend you do set up one though). PayPal is notorious for the additional fees it charges on transactions. They charge 0.3% to 7.4% on all transactions – not including a currency conversion fee! If that wasn’t enough, the VAs bank may levy an additional charge on any incoming PayPal transactions. That’s why a lot of VAs don’t like using PayPal – they lose too much from these charges. Formed in 2011, TransferWise is a relatively new player in the field that’s making big waves. It solves PayPal’s biggest problem. 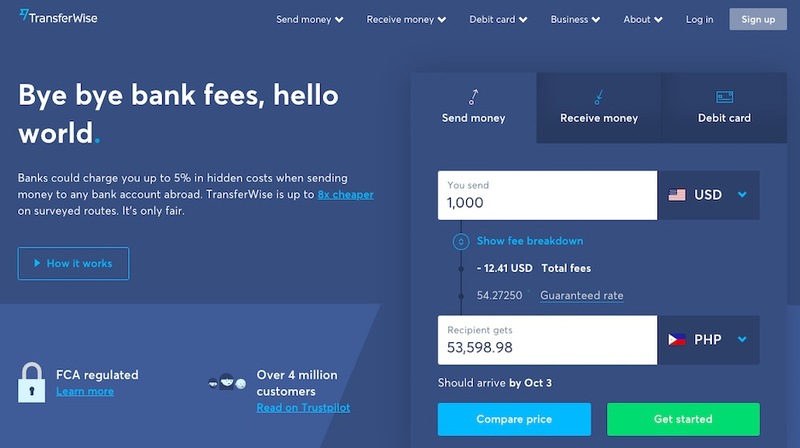 The reason why people are shifting to TransferWise is because of it’s low rates. You only pay the mid-market exchange rate and the currency fee. Registration is free of charge and so is your first transaction! The problem with TransferWise is it’s reach – or lack thereof. It supports only 49 countries (It does support India and the Philippines though). So if your VA is from an unsupported country then it’s probably a good idea to go with another platform. Payoneer was established in 2005 and has the distinction of having the former president of VISA and former CEO of SWIFT on it’s board. It’s no surprise that it’s one of the most trusted payment options out there. Payoneer supports over 200 countries and 150 different currencies! This way, there’s no danger of your VA’s preferred currency not being supported. They charge a small currency conversion margin on every transfer. And if you pay via credit card, they charge 3.5% in many regions. Payoneer payments take upto 3 weeks to get credited depending on the payment mode. Thinking of becoming a virtual assistant? The VA business is a great option for anyone looking for some flexibility in their lives. The idea of being your own boss and spending more time with your family is a now a reality for many. That’s why more and more people are taking up VA jobs these days to become self-employed people. You even have organizations like the International Virtual Assistants Association to safeguard your rights as a VA. Since you’re dictating what work you take on – you’re pretty much your own boss! As you’re free to work remotely, you can work from anywhere in the world as long as you have access to a high-speed internet connection. You could even start your own VA business to make a little more money on the side. But before you jump straight into a virtual assistant business, there are a few things you need to keep in mind. Let’s go over some of them. If you have read the earlier section, you already have an idea of what kind of tasks companies like to outsource to VAs. The next step is determining which of them suits your skill set best. Worked in customer service for an ecommerce store earlier? Than you might be perfect as a customer support VA.
Have communication skills? Try opting for social media management or managing inbound calls. It’s vital to clearly define what skills you’re good at and what you’ll provide to employers. If you don’t clearly state what you’ll provide ,most people will overlook you in favour of a less qualified candidate that meets their job description requirements to the tee. So remember, start off by defining what your skill set is and how it can help. Your next step should be determining what your virtual assistant business structure is. Are you going to be a full-time worker? Are you just doing this on the side to earn a little more money? This is important because it will determine the kind of daily tasks you’ll be able to take on. If your VA business is going to be part-time, taking up a tasks like managing phone calls or customer service isn’t the best option. You’re probably more suited to basic administrative tasks, preparing reports, or maybe even content writing. What this does is ensure that you don’t bite off more than you can chew. This way, you won’t be left with a series of daily tasks you have no chance of completing before a deadline. One of the benefits of a virtual assistant business is that you set your own salary. Remember to set your pay with these factors in mind. A good way to start is to charge about 25% more than you would for the task in a regular job. That should be enough to cover most of these overheads. With that being said, it’s still a good idea to look at average rates on freelancer sites to give you a better idea what virtual assistants work pays. And you’d be right. You don’t need a website to be a VA. But if you’re serious about taking this up as a professional business, it’s a good idea if you did. It allows you to look more professional. And in the virtual assistant industry, professionalism = reliability. The more reliable you seem, the higher the chances are that you’re hired. Additionally, having a website gives other people a point of reference. Maybe they saw some of your freelance work somewhere and wanted to reach out. With a website, they’ll have all the information they need to make an informed choice. Luckily, it’s easier than ever to set up a website now. Here’s a handy guide from WordPress on how you can go about it. Networking is an essential component of being a VA.
You’ll need to build connections in the virtual assistant industry if you want to be hired there. Identify your field – You’ll need to know where your prospective employers are before setting up meetings with them. Pitch to potential clients regularly – Once you’re confident of being on their radar, go ahead and set virtual meetings with these companies – outline what it is you do and how it can benefit them. Offer a trial period – Your first client may be skeptical of outsourcing. To combat this, on your first time working with them, give clients a trial period to test out the waters. You’ll build a layer of trust to cement a long term relationship with potential clients by doing so. You may be wondering why I left this for last. Especially since there was an entire section on it earlier. That’s because, while freelance marketplaces are still useful, there’s far too many people there to truly stand out. You’ll be one among the thousands of people employers are looking at for a job. Building a website and making meaningful connections with potential customers is a much better mantra for long term success. With that being said, not everyone has the means to take that approach. In that event, freelancer websites are still an incredibly useful springboard for bigger things to come your way. Taking the help of virtual assistant to become more productive and grow your business is no longer a rarity – it’s close to becoming a necessity. Having a go-to person for pretty much all your needs is a great assistance to any individual or business. And if you want a powerful tool to manage your virtual assistants, you have tools like Time Doctor. To see how Time Doctor can help you manage your VAs more easily, why not sign up for the free trial? There are many independent Virtual Professionals out there with corporate backgrounds in marketing, sales, and administrative work. They are not necessary in Upwork but promoting themselves on Linkedin and sites that cater to the VA World, like VAClassroom. Larger Virtual Assistant agencies like Zirtual may not suit some businesses but these independent VAs may fit the bill. I am one of them. So many articles talk about the large agencies but overlook people like myself who run their own VA services with sub-contractors. We call ourselves, Multi-VA companies. I would add that people should look at Linkedin for a virtual professional. You will find quite a few there and get a more personal touch along with the professional expertise you are looking for. Good article, Greg! After I hired my first virtual assistant it changed my life completely. Now a personal assistant helps me to sort my email, find new leads for my business, generate new content for my blog, etc. She also protects my time for personal life. Thank you for the content. Please advise what package can be expected by a candidate applying for the position of Virtual Assistant. At SurplusHands we provide virtual assistants that are matched to your exact needs with NO SUBSCRIPTIONS. Tons of clients want to control how many hours they use rather than be forced to use a certain amount every month. The idea of people working virtually is really taking off. We’ve utilized TimeDoctor before and highly recommend it to anyone interested. Just wanted to put that out there as well! 🙂 Thank you for featuring us in your other blog post TimeDoctor! The question you should ask yourself if do you have the bandwidth to handle your small business or do you have time to manage it? Next question is, am I capable of implementing the SEO process which will make my business rank higher if it is an online business which is the most effective strategy and most used process by online marketers. Being able to outsource routine tasks was a huge stress reliever for me, it gave much more time and energy to focus on growing my business. Rather than getting buried in emails, invoices and never ending To Do lists, I was finally able to tap into my creativity and start planning months ahead. After a while, I felt comfortable enough to go away for the weekend and spend quality time with the people I love. Just having a couple of days to switch off and recharge my batteries made me much more efficient. Especially during the most busiest time of the year, it’s essential that you’re in the zone. And you can’t do that when you’re trying to juggle everything, eventually you’re going to drop the ball. Outsourcing to a virtual assistant is a great way to avoid inevitable mistakes.